In the late 80’s Stephen Covey published The 7 Habits of Highly Effective People. Power-suited men and shoulder-padded women everywhere rushed out to purchase this new business/self-help bible. Almost 30 years on, many of the 25 million movers and shakers who bought the book are now looking for something quite different. With all sorts of forces bouncing us around, it’s understandable we should want to know how to bounce right back. 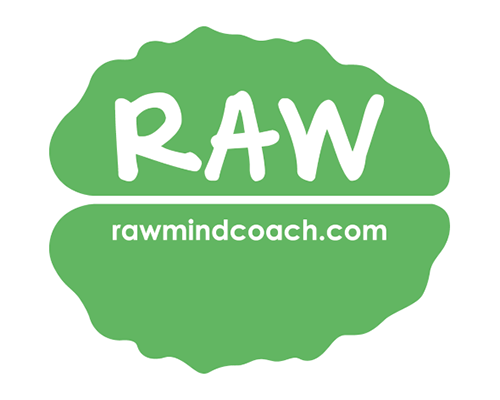 To bring you the scientific perspective on how it’s done, we consulted the RAW Mind Coach research team. Having spent literally thousands of hours in their white coats, diligently examining the factors which build resilience, they are certified experts in the subject*. It is now with great pride we bring you the 7 Habits of Highly Resilient People. Should you make a habit of each of these 7 things you will soon be bouncing back so strongly it will feel like you have pogo-sticks for legs. We know there is an awful lot of hype around mindfulness and far too many smug, stylised Instagram shots of people in designer yoga gear meditating with their legs curled up like a pretzel. Please, don’t let this put you off. Practising mindfulness needn’t involve designer yoga gear or any amount of hip flexibility – and it can have some incredibly big benefits. When you learn mindfulness, you learn to connect with the present moment, so your mind isn’t always re-hashing stuff from the past or anxiously worrying about what’s to come. You can find out how to unhook from difficult thoughts and discover how to sit with uncomfortable emotions, rather than desperately doing anything to push them away. When regularly practising mindfulness, you are training your brain to become more flexible and more resilient. You are also giving it a chance to recover from the constant multi-tasking and overstimulation it must deal with in our frighteningly fast-paced modern world. In times of high stress, practising mindfulness can serve as a circuit breaker, allowing you to achieve a sense of calm and even relieve the physical tension built up in your body. Studies have shown mindfulness can also improve attention, aid in sleep and even increase grey matter in the brain. Because of its value in bolstering resilience, mindfulness is now being taught to the US Marines, as well as many others working in some of the most psychologically challenging roles worldwide. Practising mindfulness for as little as ten minutes of a day, is a very healthy habit to get into. Having a strong sense of purpose is known to be a powerful protective factor. When researching emergency service workers, we found they rated very high on sense of purpose. They valued life and that made it easier for them to carry out rescues in burning buildings and perform other challenging work which most other people wouldn’t even contemplate doing. Often, we face the biggest psychological struggles when we start doing things which run contrary to our values. Someone who is highly ethical is likely to struggle if working in a dodgy used car dealership. A soldier may experience intense psychological conflict if forced to fight in a war they feel is unjust. Intense emotions can arise whenever we have a clash of values and if we don’t act in line with our values, those uncomfortable feelings are likely to hang around. Highly resilient people tend to let their values guide their decisions. They are better able to comprehend why they may be experiencing uncomfortable emotions and by referring to their values, they can more carefully weigh their options and make decisions they will be at peace with. Even when facing very difficult situations, those people who follow their values are likely to experience far less psychological struggle. Today most of us belong to the cult of busy. We work long hours, endure soul-sucking commutes and service stupidly large mortgages. We juggle multiple angrily beeping electronic devices, dedicate our precious spare time to personal brand management on social media and may even try in vain to keep up with the Kardashians (presumably because the Joneses weren’t aspirational enough). 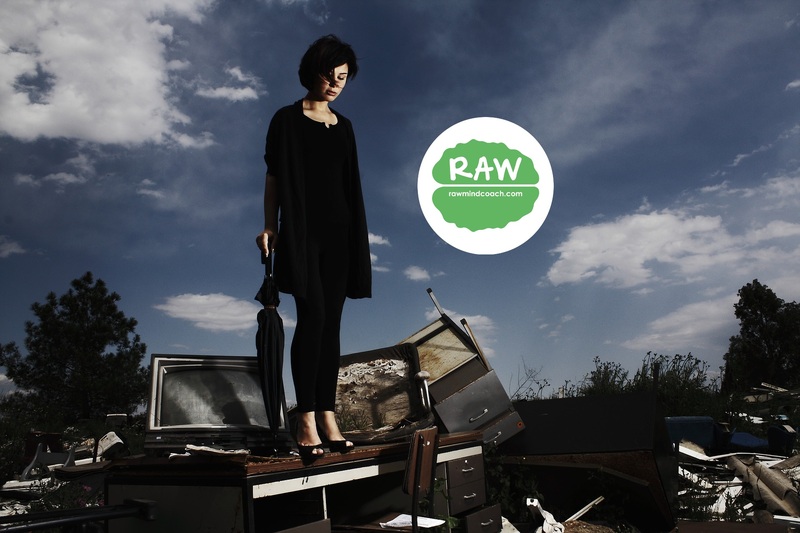 But some of the most highly resilient people are rejecting this cult of busy. They are putting up boundaries, challenging expectations and learning the value of saying “no”. These people work out what’s truly important for them and try not to burn themselves out doing all the stuff that’s really not. You may find these cunning deviants committing radical acts such as leaving work on time. Instead of “liking” your social media posts, they may just leave their phone behind and take the dog for a walk. Instead of trudging around a mall in search of the latest fashions, they may just keep wearing the same old comfy pants. Instead of volunteering to drive their kids through peak hour traffic, they may point them to the bus stop. When asked a favour, they may pause before responding. While you needn’t say “no” all the time, it is important to pause and consider whether doing that extra thing is really in your best interests. Many of us are tired, time poor and over-committed. Marching in an endless people-pleasing parade can easily lead to exhaustion and burnout. Learning to say “no” is a way of looking after yourself. By not conforming to ridiculous expectations, consistently putting yourself last or caring too much about what everyone else thinks, you can actually become more resilient. Some believe the glass is half empty. Some people believe the glass is half full. Some are absolutely certain the Russians have poured poison in the glass. Only a very, very small percentage appreciate the beauty of the glass and marvel at the privilege of having safe, clean drinking water. As part of our survival instinct, most of us have a negative bias. We naturally pay far greater attention to all those things which pose potential risks, than we do to all those which are nice and lovely. Unfortunately, in this information age, we are being bombarded with negativity and stuff to freak out about. Just a small dose of the media can have us worrying about everything from WMDs to VPLs. We can however train ourselves to become more optimistic. When we regularly practise gratitude, our brains start rewiring themselves. Rather than just looking for small failures, problems and imperfections to obsess over, our brains start searching for and recognising all that’s good. Gradually, the outlook can shift. Instead of the world being doomed, dark and dangerous, it can be a place where you can eat juicy mangoes, move to the music and swim in the sea (because as optimists will tell you 99.9999999% of the time you won’t get eaten by a shark). Bouncing back from life’s challenges is far harder for anyone who believes the world is against them. By cultivating a grateful, optimistic outlook you can become more resilient and probably enjoy life a whole lot more. Guess what? You’re not supposed to be as happy as Pharrell Williams all the time. Even Pharrell is not that happy. While he did manage to sustain his super-charged cheerfulness for the duration of a 4-minute video clip, we know that as a human being, he is also bound to face periods of sadness, frustration, grief and other less than pleasant emotions. You will too. Unfortunately, many of us feel extremely uncomfortable experiencing these sorts of emotions… so we do all we can to avoid them. This avoidance can leave us sitting stagnant in a big, sad, self-made rut. We put up with that terrible thing because we don’t want to have that awkward conversation. We don’t attempt that brave thing, because we fear feeling judged. We avoid reaching out to others, as that might mean revealing that… (gasp) we’re not perfectly happy. Humans have dreamed up all sorts of ingenious ways to avoid uncomfortable emotions. We may overeat, drink alcohol, have a bet, take painkillers or go on an online shopping binge. These acts may start out as pleasant little feel-good diversions, but if they are continually used to avoid an unwanted emotion, they can soon result in much bigger problems. There really is no avoiding it. If we wish to become highly resilient, we must learn to allow space for all our emotions and not just those nice feel-good ones. While some emotions may feel unwanted and uncomfortable, by understanding and accepting them, we can become more flexible and better equipped to handle all those tough times in our lives. Being perfect is completely incompatible with being human. As humans we will make bad choices, say the wrong things and generally stuff up. We will sprout pimples, have bad hair days and get green stuff unknowingly caught in our teeth. We will not be as flawless as airbrushed magazine models, as wealthy as bank CEOs or as amazing at chopping up stuff as all those TV chefs. We will be human and imperfect and perhaps if we are very lucky we will manage to slowly julienne the carrots without chopping off our fingers. Highly resilient people are not perfectionists. They don’t set impossibly high standards, then beat themselves up when they fail to reach them. They don’t buy in to unrealistic expectations or spend their days slavishly trying to satisfy their inner critics. Instead, they offer themselves self-compassion. Self-compassion also requires action. It means really looking after ourselves, rather than running ourselves into the ground in pursuit of the unaccomplishable. It means prioritising sleep and exercise and good food. It means regularly having a little time out for meditation, a chat with friends or a walk in nature. It means believing we are worthy and making sure we treat ourselves accordingly. Before we can bounce back, we may first need someone to pick us up off the floor and put us back on the trampoline. Yes, having support is incredibly valuable. Unfortunately, many of us have a horrible misconception that if we’re truly resilient, we should be able to do it all on our own. Many other factors also hold us back from reaching out. We may fear that awkward, honest conversation, not believe our problems are “that important” or perhaps have just grown up believing that talking things through was somehow weak. ‘Going it alone’ is however the very worst way to deal with problems. Asking for support is actually a far braver act. While many silently suffer inside a suit of shining armour, the truly courageous allow themselves to be vulnerable. When being vulnerable and asking for support, it’s important to reach out to those people who are empathic, non-judgemental and have your best interests at heart. Your support network may include a partner, friends, family members or psychologists and other trained professionals, who can provide mindful support in a confidential setting. Research shows that highly resilient people are very good at accessing support and they do it regularly. Reaching out can also have another big benefit – you will find you are not alone. You’re a wonderful imperfect human, with human regrets, human strengths, human weaknesses, human worries, human insecurities, human dreams and a wonderfully complex human brain. Many others humans will have experienced very similar human problems and no matter how big these problems seem, having another human to share it with can make all the difference. *while our team are expert researchers, they actually they don’t wear white coats – they tried but kept on getting soy sauce stains when they were eating sushi.